AMARILLO - An RBI single off the bat of Webster Rivas in the eighth inning Saturday night, secured the Sod Poodles' 5-4 come-from-behind win over Corpus Christi before 4,805 fans at Hodgetown. The Hooks jumped in front, 1-0, on an Abraham Toro first-inning home run. His first long ball of the year landed at the back of the right-field berm. Brandon Bielak ran with the advantage, retiring 11 of the first 14 Amarillo hitters. The Sod Poodles broke through in the fifth on consecutive one-out singles by Edward Olivares and Rivas. Chris Baker, in his second at-bat of the season, then stroked a double to right-center, leveling the score at 1. Rivas later scored on a wild pitch. Amarillo added insurance in the sixth when Peter Van Gansen, who worked a walk from J.B. Bukauskas to lead off the frame, scampered home on a base hit by Jorge Ona. Sod Poodles starter Lake Bachar scattered seven hits and two walks over 5 2/3 frames. Bacher struck out four while stranding seven men on base. Amarillo carried a 3-1 lead into the seventh with Kazuhisa Makita on the hill. 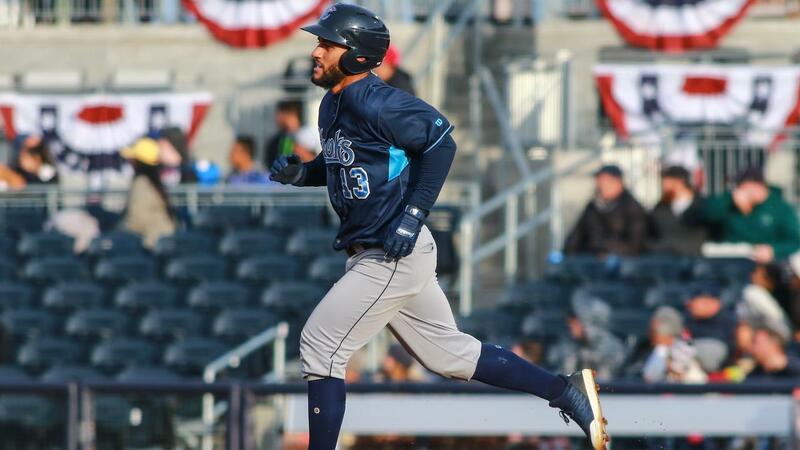 With two away and the bases full, Josh Rojas ripped a double into the right field corner, scoring Anibal Sierra, Stephen Wrenn, and Granden Goetzman for a 4-3 Hooks edge. Bukauskas spun a shutdown seventh but ran into trouble in the eighth. Three consecutive singles, two of the infield variety, and a four-pitch walk tied the score at 4. Rivas pushed the fifth run across with a base hit into center field. Tyler Higgins retired six in a row to earn the victory. The Hooks look to salvage Sunday's 1:05 matinee with Gabriel Valdez on the hill.